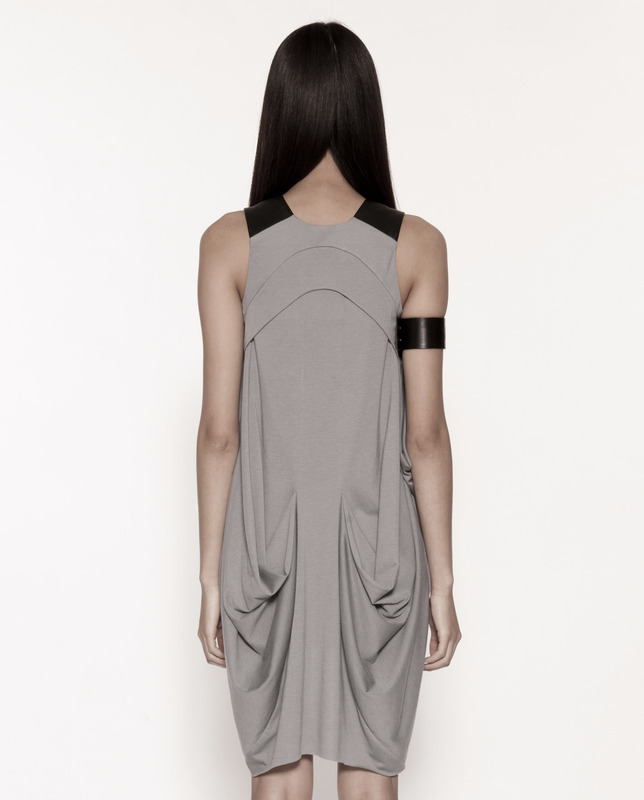 Smoke coloured drape dress featuring free hanging yoke, wing pleats at side seam and draped panels on reverse. Supple Nappa leather shoulder panels. Handmade in England.